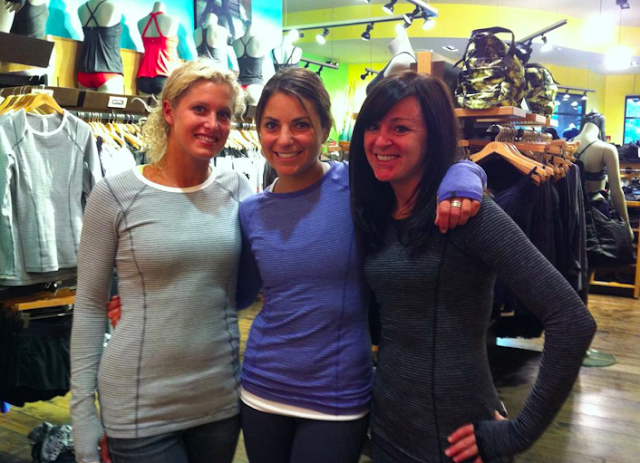 I caught a glimpse of this new Allegro line, Allegro Hand Warmers, Neck Warmers and Leg Warmers as I was leaving the store today and they were just starting to unpack them. 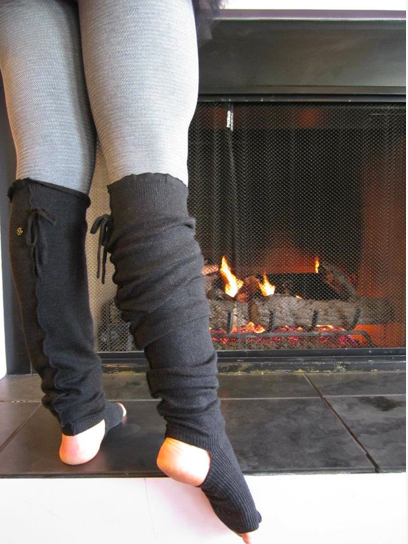 I got to check out the leg warmers which are a very soft and thin cashmere bamboo blend and priced at around $58. The hand warmers are very cute but not very practical for outdoor weather. They also had a new Sigg Tea Cozy mug in two colors and I really liked them but would probably only think about getting one in a great color…except that I’m pretty married to my Vessel Double walled glass tea steeper so even in a great color I should pass. The Off The Mat Jacket. My store had 4 of these left today. I think they got a small shipment of them since the price point is quite high. 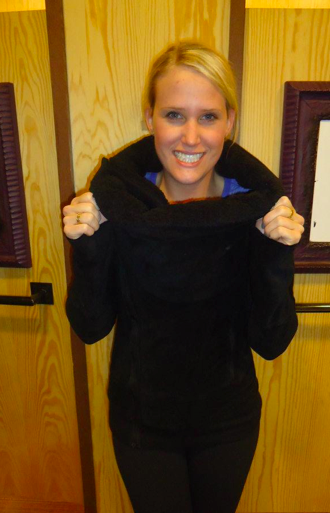 I tried mine on again today over a Cabin LS and the fit is really comfortable still so I’ll be keeping mine. I’ve decided that the only ok way of wearing this jacket left unzipped is if you button a few of the neck snaps to keep the asymetrical panels from flapping about. According to the GEC the fleece is the exact same fleece used in the Don’t Hurry Be Happy Pullover and the price increase is due to the extra design features that went into it. 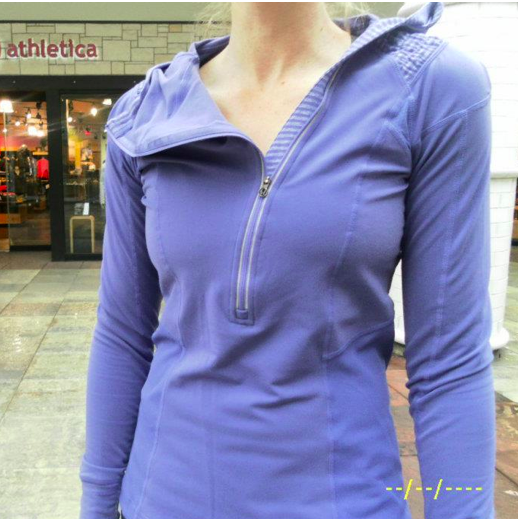 I sort of wish Lulu would give more fabric details with the fleece like some of the other high end fleece retailers do. Like, I want to know if the fleece has ‘lofted hollow core fibres’ to provide extra warmth, and I want to know if it’s a Polartec fleece they are using which is the highest quality fleece that Patagonia and The North Face both use or if they are using something different but of equal quality. At this price point, it’s an investment piece for it’s functionality and not just for it’s design features. 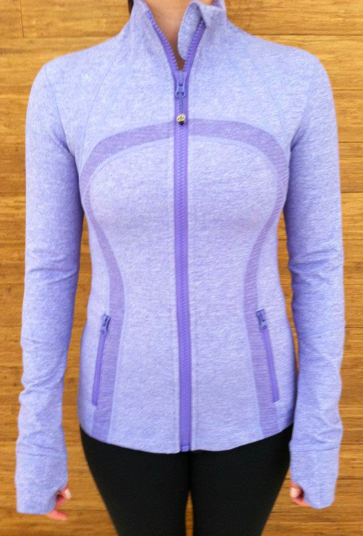 None the less, it’s a gorgeous jacket and I can see myself wearing it a lot on dry days as an easy comfortable overlayer. 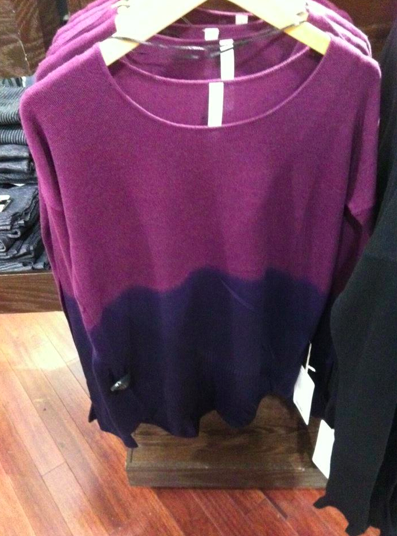 Probably wont layer nicely under a shell jacket with this neckline but it will probably take me right to spring. Saw this in store today and it’s super pretty. I really wanted to try on the Currant one which felt really soft but it was busy in store and I didn’t want to take up a fitting room. 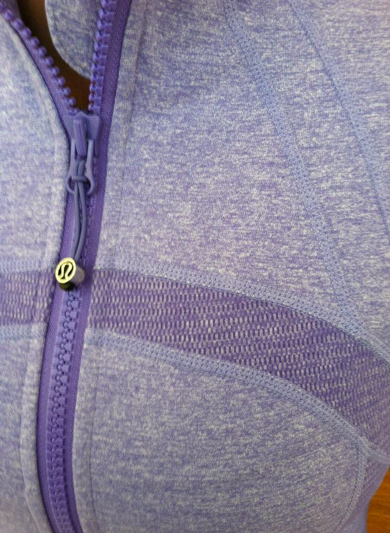 The tech fleece is thinner than my spirit pullover and slightly stretchier because of it. 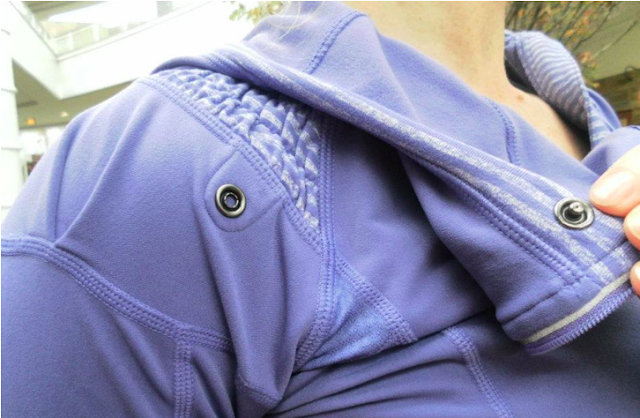 Also, there are ribbed side panels which will also provide stretch. 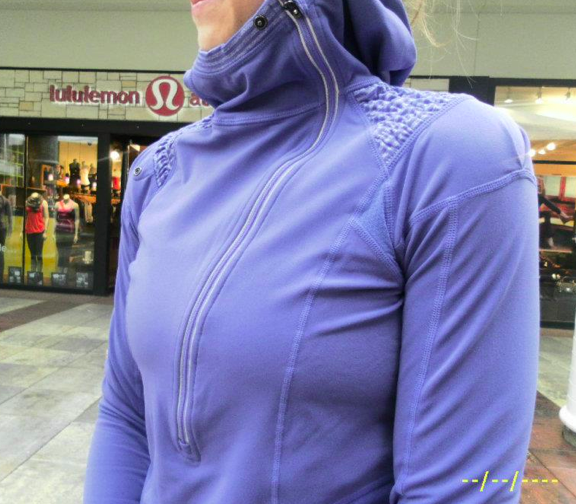 I loved my Spirit Pullover but my main reason for parting ways with it besides it being too warm for running in Vancouver winters was that the tech fleece had very little stretch to it and was slightly restrictive. This one is going to be much more movement friendly for sure! These are so pretty, I just know I’m going to regret passing on them. Heathered Black Swan Cool Racerback Tank. 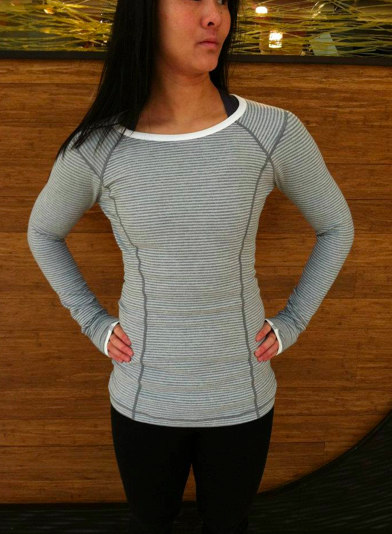 I really wanted this one but in person it just looks too close to grey. I would have loved a solid Black Swan. 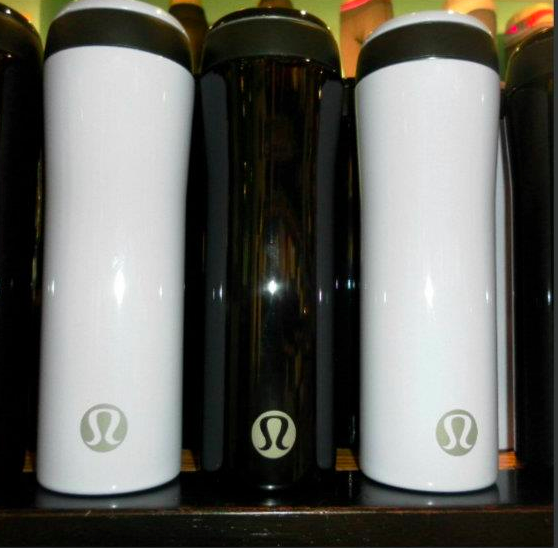 "More Off The Mat Pictures"
"Gorgeous Pictures from the Kitsilano Lululemon"